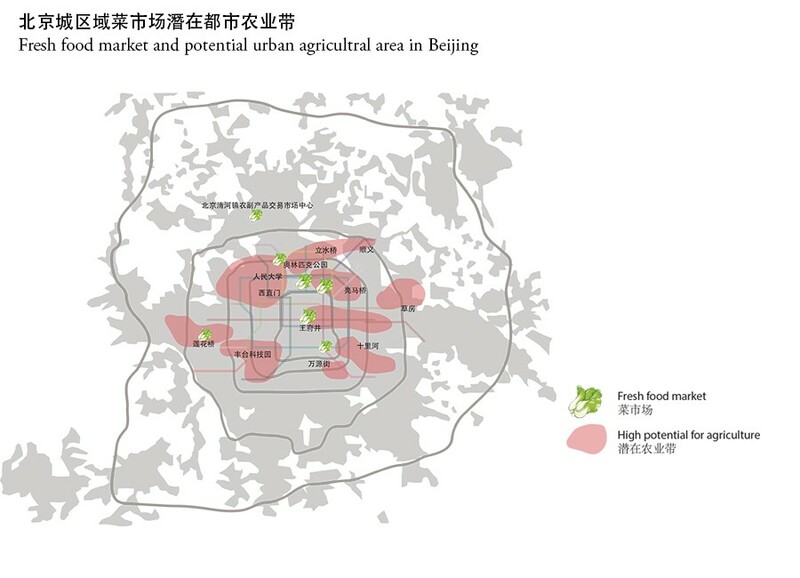 Urban study for the agriculture intensification of the Beijing inner areas, and the introduction of a new policy for maintenance of generic green voids in the city. 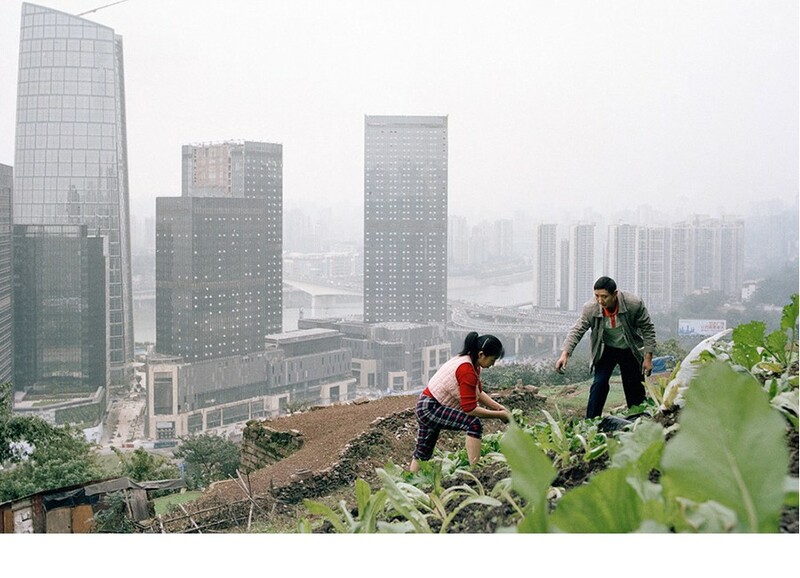 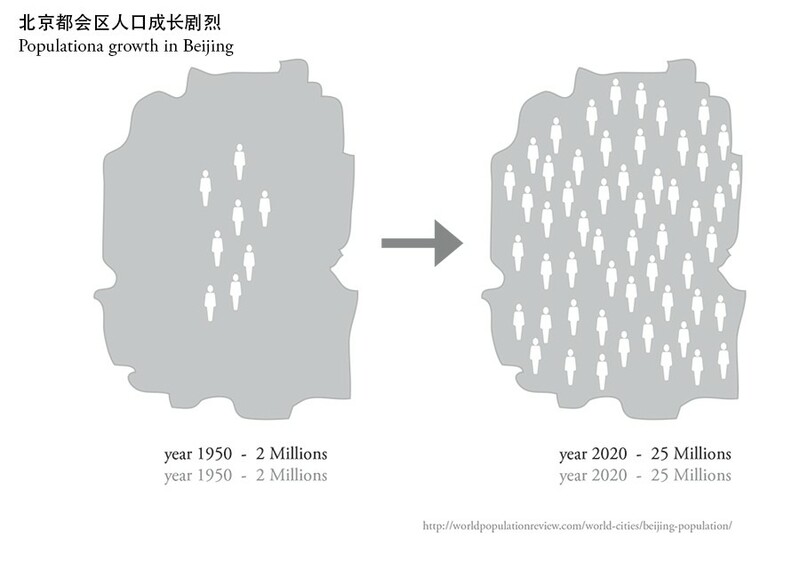 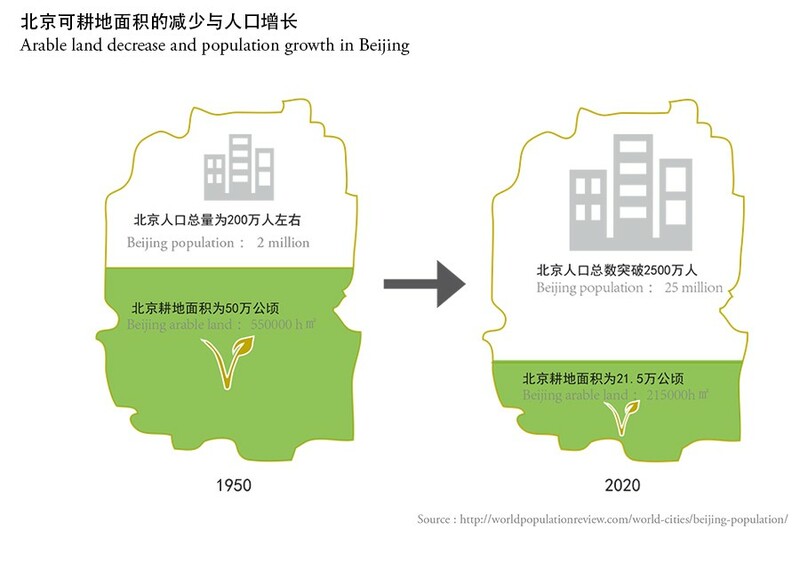 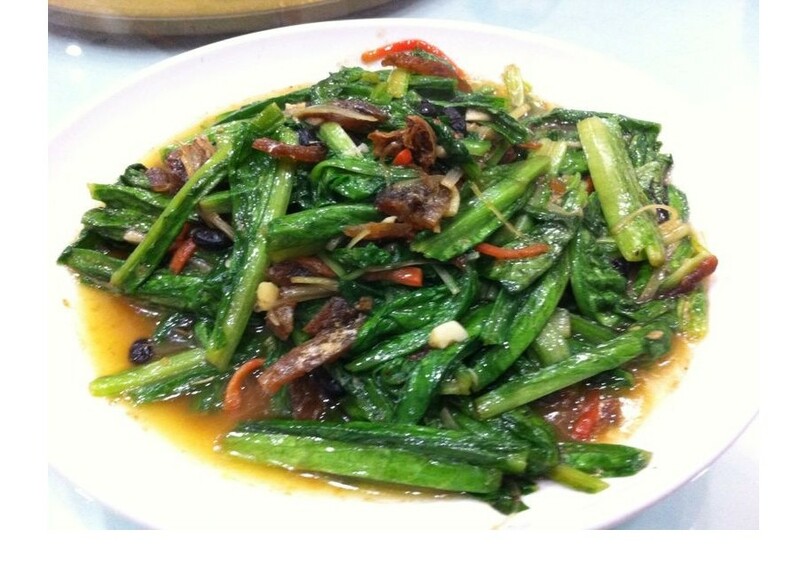 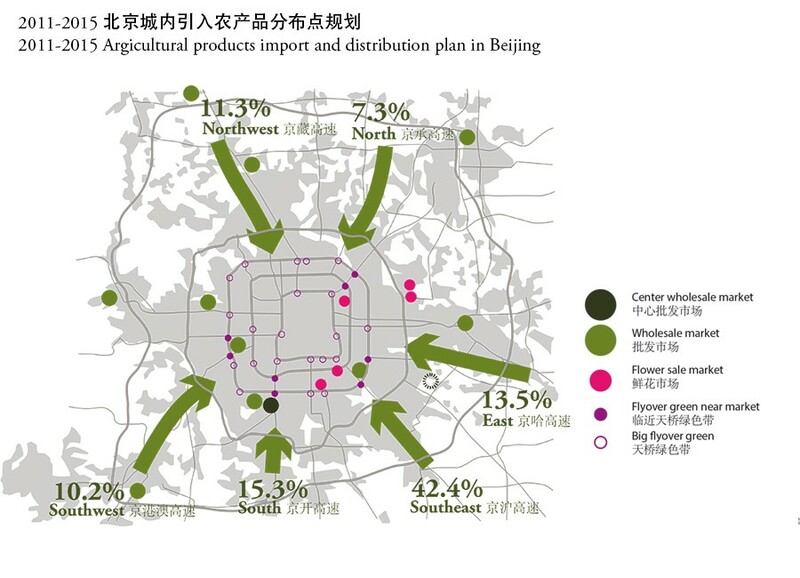 In Beijing an unstoppable de¬crees of the actual arable land in south and east of the city, areas currently used as arable land and rapidly under urban¬ization because of the develop¬ment trajectory that connects Beijing with Tianjin. 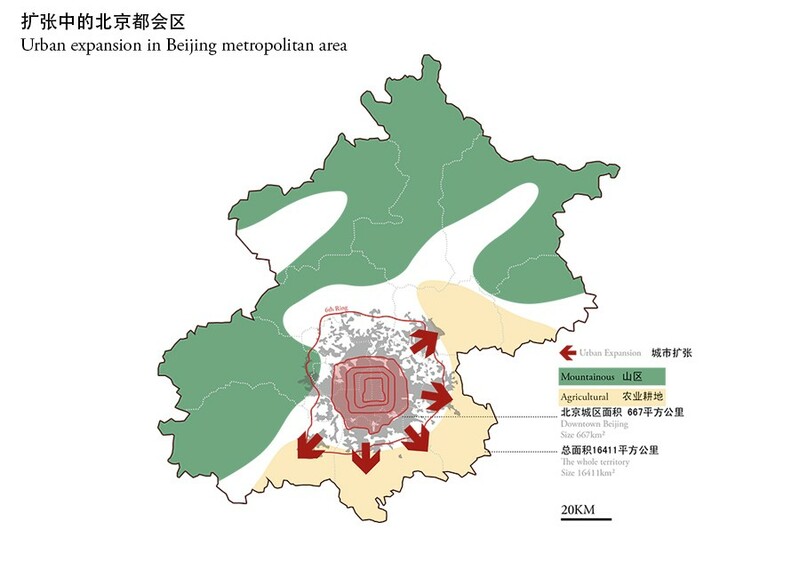 To dealing with the increasing amount of migrants in big cit¬ies, the national government issued policy on small-middle sized town urbanization and development in western Chi¬na to balance the big migrants burden over costal area, while local governments like Shang¬hai, Beijing, Guangzhou and Shenzhen, claimed the indus¬try upgrading policy, intend¬ing to avoid the arrival of low-educated migrants in favor of high-end educated human resource. 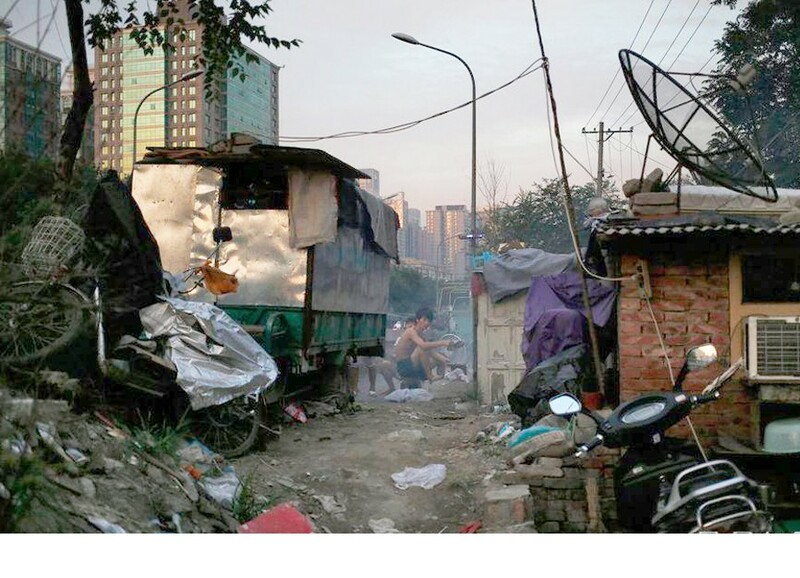 If we refer to the an¬nual demography report of these cities, there is still a no¬table increase on migrants and the average education level of these migrants is still below the average level of registered citizens. 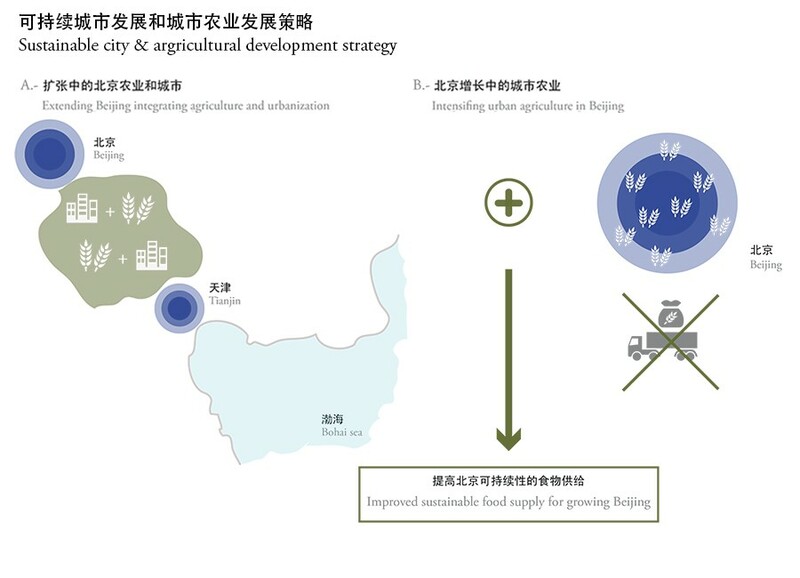 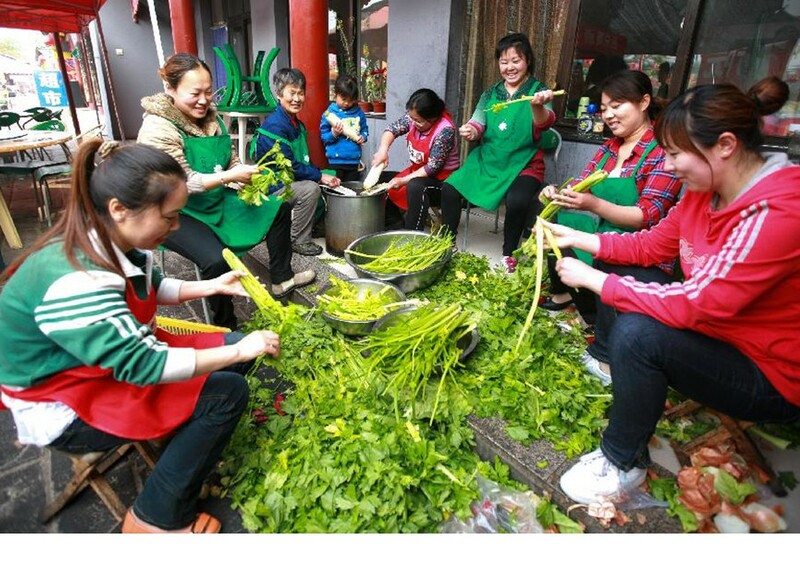 Measurement ranged from protecting basic cultivated land to encouraging higher productive local agriculture projects, not only to ensure enough local food, but also to simplify the circulation pro¬cess and shorten the distance for food transportation, thus reducing pollution. 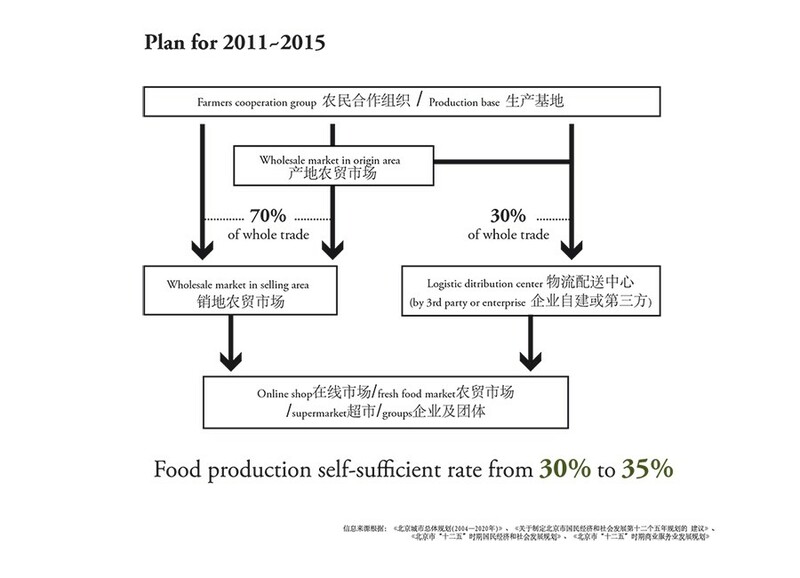 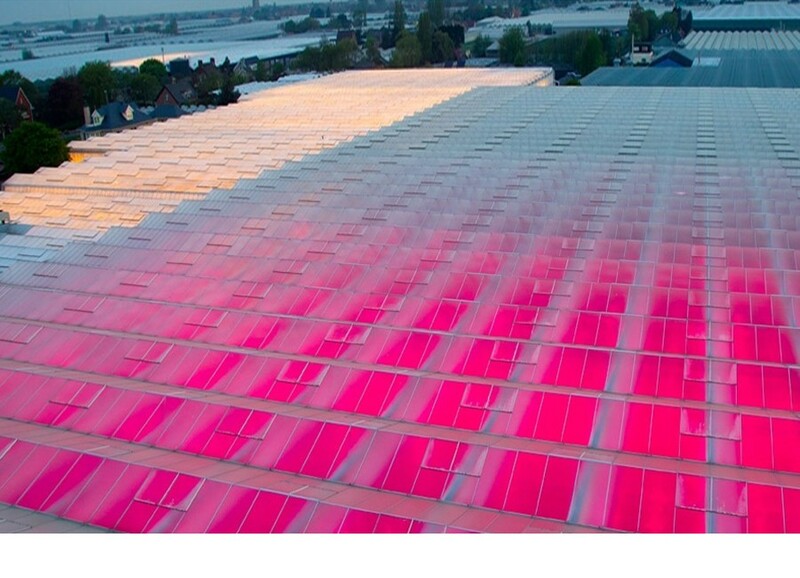 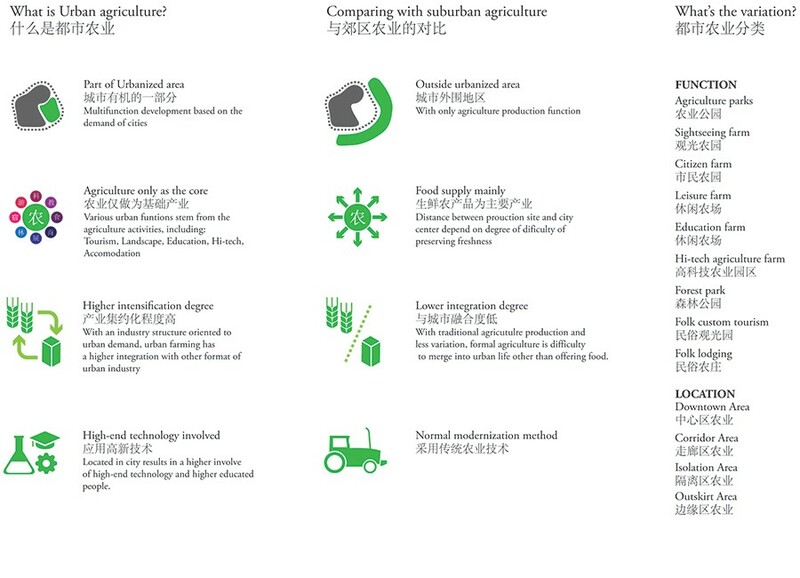 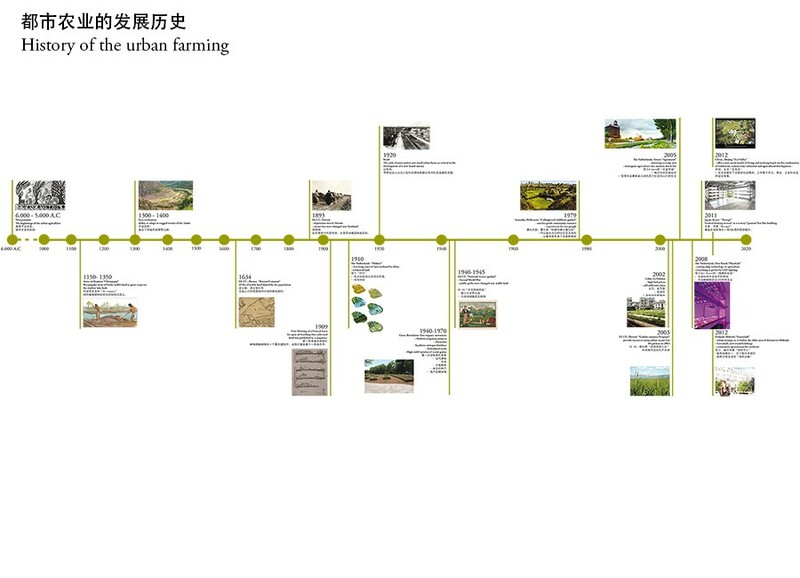 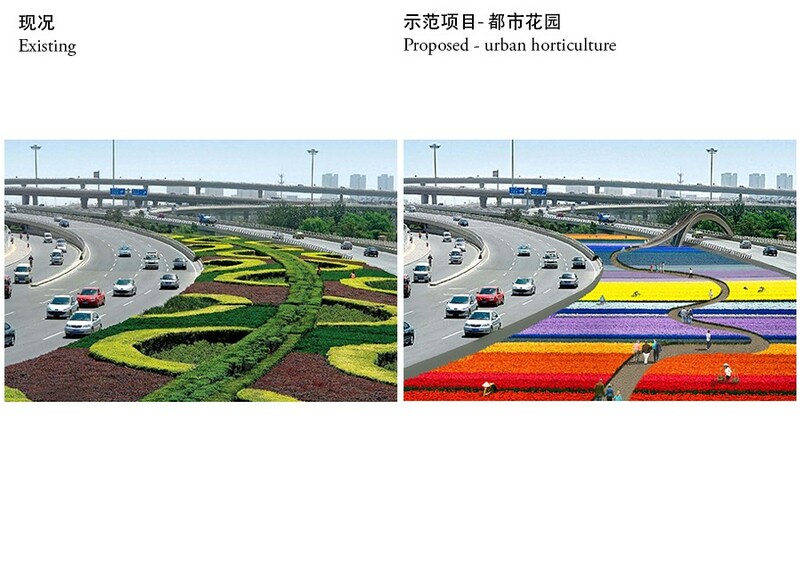 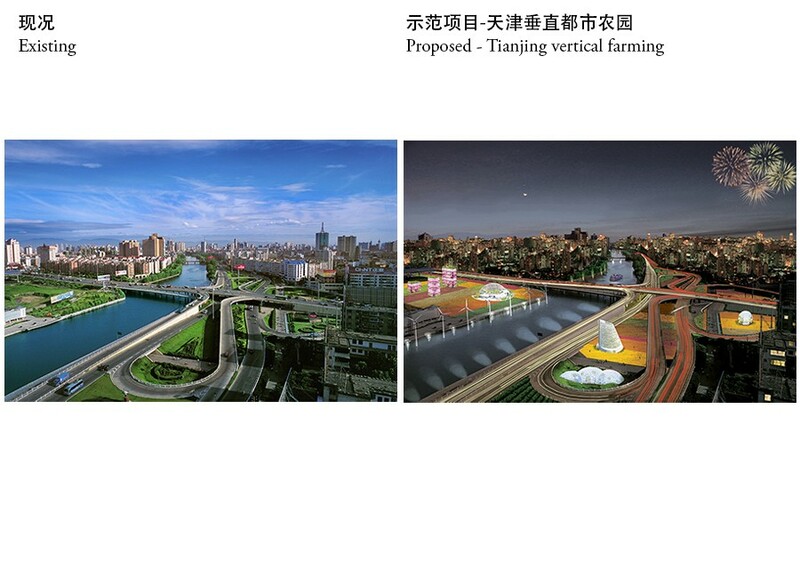 In the urban area of Beijing, within the 6th ring, we propose a process of agricultural completion of the urban voids. 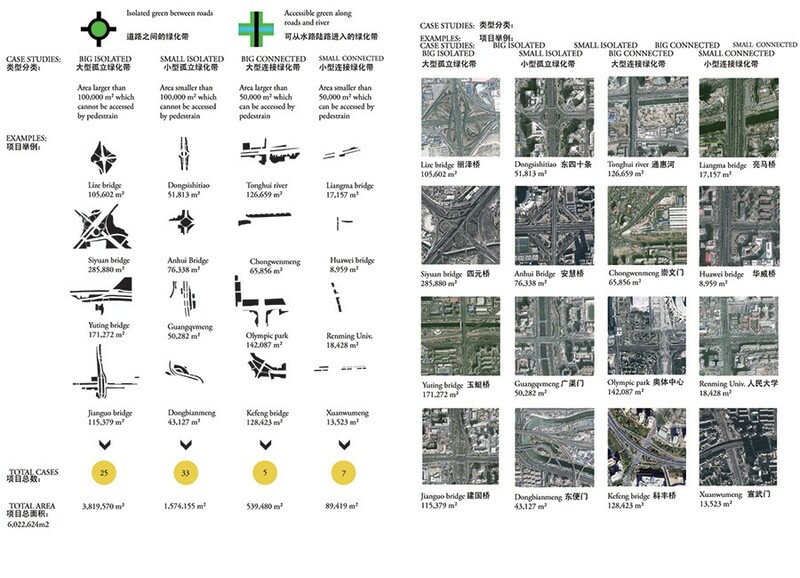 The urban structure of Beijing is well known worldwide for its humongous scale. 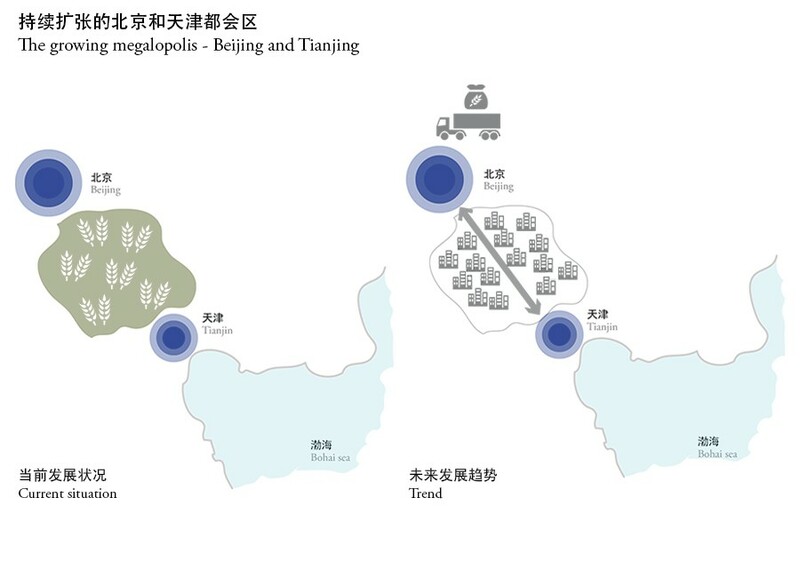 Urban blocks, infrastructure and neighborhoods create a ‘giga city’, where everything is oversized, especially when compared to the historical city. 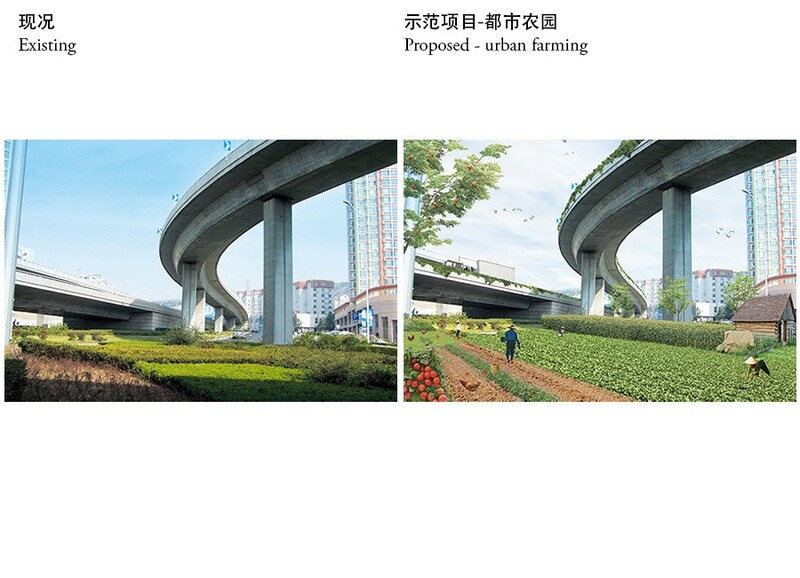 In this context we have found large portions of ‘left over’ green, especially the one close to infrastructural nodes and fly-over, which for their size can easily be transformed into agricultural banks. 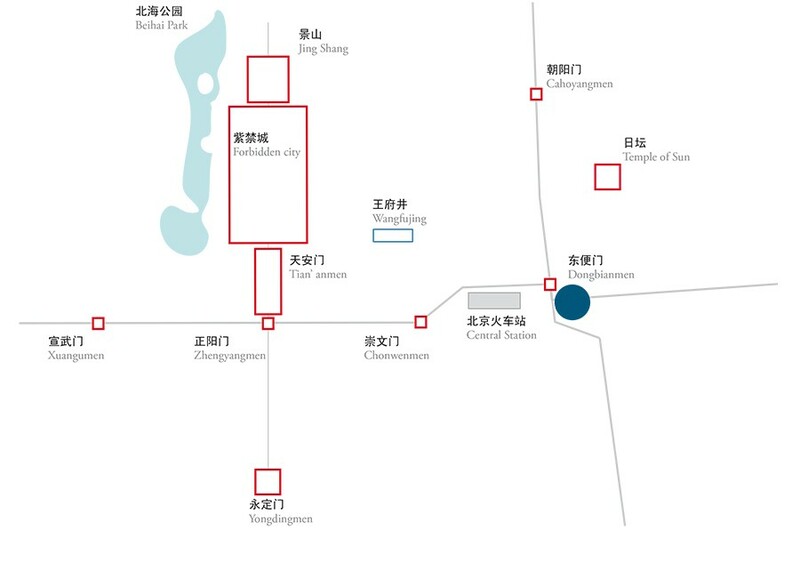 By mapping those areas we realized the size of this rescued land and its capability to become a food reserve for thousands inhabitants. 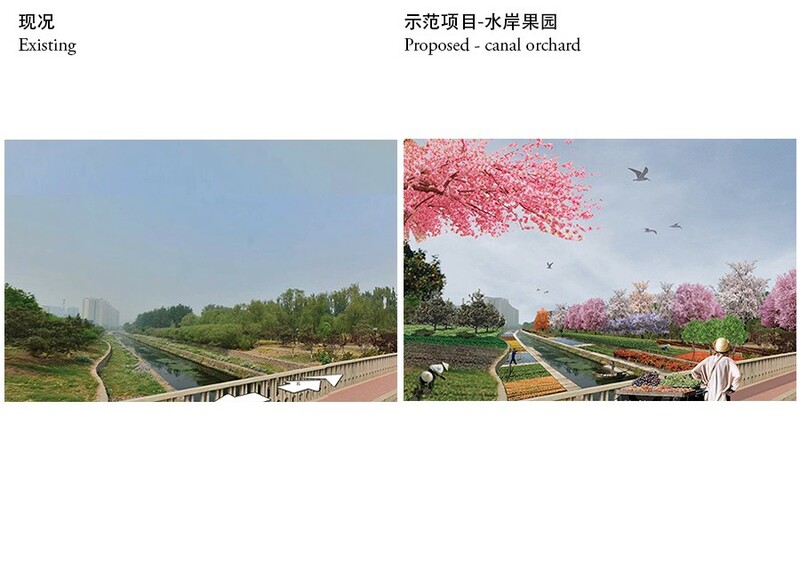 These voids are used mostly as decorative green without any use and, most of all, they do not offer any social use because of their lack of accessibility. 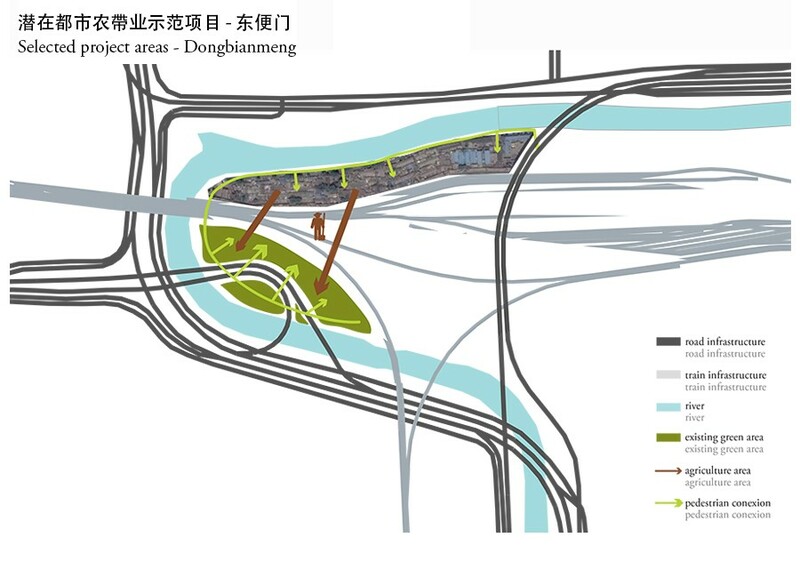 We collected more than 70 cases with different dimensions, amounting all together to more than 6 millions sqm.